Insurance Networks | Penguin Insurance Services Inc.
We help you become an independent broker! Penguin Insurance Services is a network of highly successful independent brokers. We help you become an affiliate broker. Penguin Insurance Services, Inc. is one of the fastest growing independent insurance broker networks in California. We are headquartered in Milpitas, CA, and support brokers throughout California, Colorado, Nevada, Texas, Washington and Arizona. We are proud to offer commercial new business in all 50 states and to represent top national, regional, and local carriers. We are proud to represent top national, regional and local carriers as we expand to all 50 states. I had really annoying side effects after taking Viagra, like dizziness and nausea. But after taking Cialis, nothing like this happens despite the fact that it is much cheaper. Penguin Insurance Services, Inc was a winner of Safeco’s 2013 Chairman Award, and President’s Award, which ranked Penguin among the top 50 agencies in the country. 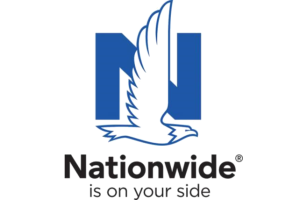 Allied/Nationwide has named Penguin Insurance as a “Rising Star”, and named Penguin as a Top 100 Broker. Mapfre has also ranked Penguin in the Top Five Brokers nationally. Copyright © 2019 Penguin Insurance Services. All Rights Reserved. Penguin Insurance is one of the fastest growing insurance organizations in California. We are looking receptionist / customer service representative to join our team at our Pasadena, CA location. If you are an enthusiastic, career-minded, and driven individual with a proven track record in personal lines insurance sales, we want to meet you! Minimum of 2 years experience as office receptionist or customer service representative. Penguin Insurance is one of the fastest growing insurance organizations in California. We are looking for experienced inside sales person that had experience and success in P&C industry. Penguin will be providing leads, you do not need to prospect for new client. If you are an enthusiastic, career-minded, and driven individual with a proven track record in personal lines insurance sales, we want to meet you! Property & Casualty Insurance License *IS REQUIRED*. Minimum two year insurance sales experience. knowledge of independent channel is a plus. Knowledge of carrier such as: Nationwide, Traveler, Safeco, Mercury, Hartford, Liberty Mutual, Mapfre, Amtrust is a plus. follow up on leads, schedule appointments, identify the business owners needs, market and quote the appropriate products. Building and maintaining client relationships, including response to specific inquiries regarding insurance eligibility, coverages, policy changes, claims and billing. Maintain a strong work ethic with a commitment to success each and every day. If you are motivated to succeed and can see yourself in this role, please respond immediately. We will follow up with you quickly to begin the next steps in the interview process. Paid classroom training, staff shadow training, and opportunities to receive additional insurance designations. Commission on new and renewal bonus. Bonus based on profit sharing and growth. Do you have any experience in Accounting, Telemarketing, or Customer Service? If so, which and how many months or years? Would your commute time to the following address be within 30 minutes? How would you rate your English skills on a scale of 1-10? Penguin Insurance is one of the fastest growing insurance organizations in California. We are looking for experienced insurance accountant that has experience in accounting and insurance and insurance industry. As accounting specialist, you will be managing commission, charge back, and answering agent questions about accounting. If you are an enthusiastic, career-minded, and driven individual with a proven track record in accounting, we want to meet you! Minimum of two year experience in accounting. Insurance industry experience is a plus. Penguin Insurance is one of the fastest growing insurance organizations in California. We are looking receptionist / customer service representative to join our team at our company headquarters in Milpitas, CA. If you are an enthusiastic, career-minded, and driven individual with a proven track record in personal lines insurance sales, we want to meet you! Admin Now is an insurance support team located in Malolos, Bulacan, Philippines that works remotely for various agencies in the United States. We are looking for enthusiastic, career-minded, and driven individuals with experience in telemarketing. The position of an appointment setter is usually an entry level one. They are hired by companies in order to assist them with the sales processes. The main task of an appointment setter is to call potential customers, engage them in conversation, provide information regarding a product or service and set up meetings with a member of the sales force of the company that they are representing. Admin Now is an insurance support team located in Malolos, Bulacan, Philippines that works remotely for various agencies in the United States. We are looking for enthusiastic, career-minded, and driven individuals with experience in customer service and data entry. Admin Now is an insurance support team located in Malolos, Bulacan, Philippines that works remotely for various agencies in the United States. We are looking for enthusiastic, career-minded, and driven individuals with experience in accounting. Penguin Insurance is one of the fastest growing insurance organizations in California. We are looking for an experienced commercial producer and CSR to join our team at our company headquarters in Milpitas, Our commercial specialist will not need to prospect for client, or directly selling insurance. The commercial specialist main function is to assist our member agency with placing commercial risk. If you are an enthusiastic, career-minded, and driven individual with a proven track record in commercial lines insurance sales, we want to meet you! Penguin Insurance is one of the fastest growing insurance organizations in California. We are looking for experienced and licensed Property and Casualty agents and CSRs to join our team at our company headquarters in Milpitas, CA. If you are an enthusiastic, career-minded, and driven individual with a proven track record in personal lines insurance sales, we want to meet you! Service the existing book of business which includes endorsements, policy reviews, billing inquiry, creating certificates and more. Cross selling existing client with other line of insurance. processing quote request from the agent. Assisting agent with policy bind request. Penguin Insurance is one of the fastest growing insurance organizations in California. We are looking for experienced and licensed Property and Casualty agents and CSRs to join our team at our company headquarters in Pasadena, CA. If you are an enthusiastic, career-minded, and driven individual with a proven track record in personal lines insurance sales, we want to meet you! Join the fastest growing insurance agaency network in California today.